Port Royal is considered the crown jewel of Naples real estate. Originally developed starting in 1959, Port Royal is a waterfront community of approximately 500 luxury estates and is considered one of the finest neighborhoods in the world. Port Royal is the southern most private neighborhood of Naples’ barrier reef. Port Royal includes beachfront, bayfront, canal and channel-front homes, all offering deep water access perfect for large motor and sailing yachts with quick access to Gordon Pass and the Gulf of Mexico. Port Royal residents are offered membership to the exclusive Port Royal Club, providing home owners with unprecedented resort style amenities including casual and formal dining, entertainment, recreation, spa services, 425 feet of beachfront to enjoy, olympic sized swimming pool, tennis and much more. Learn more at the Port Royal Club's website. So what are you waiting for? Use our Advanced Home Finder search engine, Search For Port Royal Homes By Map or Contact Jeremy O'Guinn to find your Port Royal home today! 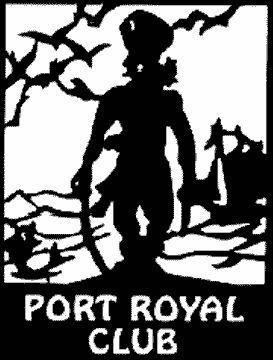 Curious to know what the real estate values are at Port Royal? Check out the recently sold homes.